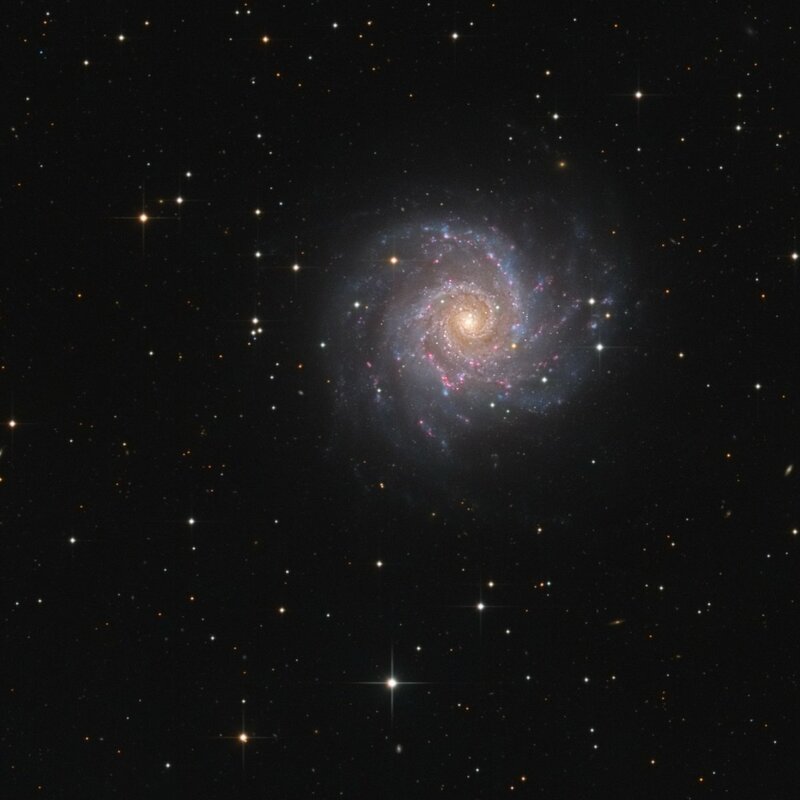 Messier 74 (also known as NGC 628) is a spiral galaxy in the constellation Pisces. It is at a distance of about 32 million light-years away from Earth. The galaxy contains two clearly defined spiral arms and is therefore used as an archetypal example of a grand design spiral galaxy. The galaxy’s low surface brightness makes it the most difficult Messier object for amateur astronomers to observe. The arms are dotted with clusters of young, blue stars and pink regions where the ultraviolet light from these young stars has ionized clouds of hydrogen and caused them to glow. 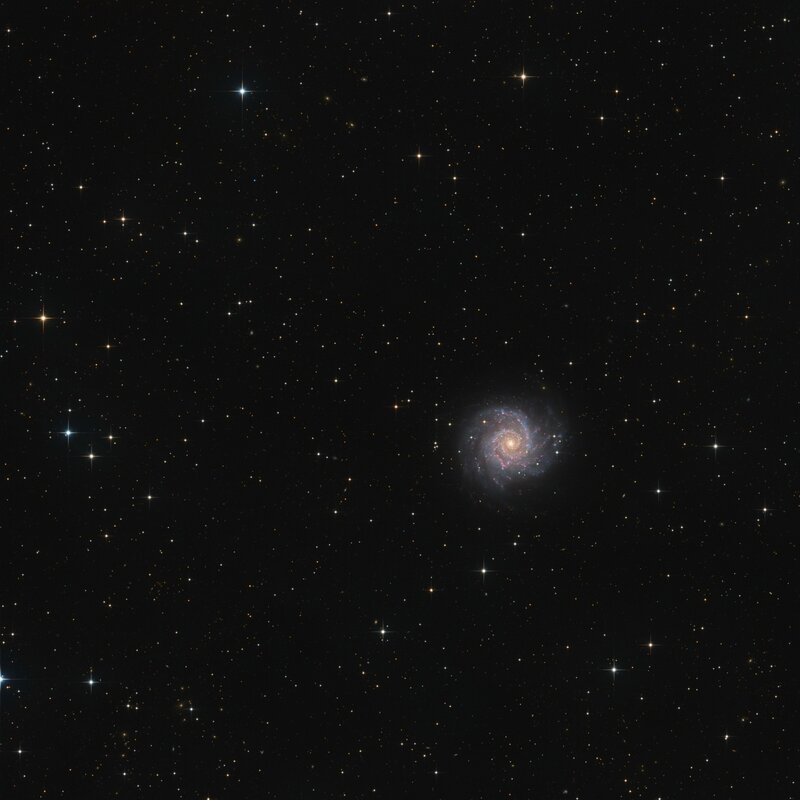 It is estimated that Messier 74 is home to about 100 billion stars, making it slightly smaller than our Milky Way.